Following the surgery I was given the grim news that these tumors were not only great in number but that they were also advanced. The surgeon told me quite bluntly that from what he had seen he didn’t feel that I had much hope at all, although he still thought that I should see an oncologist. A definitive diagnosis would have to wait until the results of the pathology were known. This happened almost three weeks following the surgery. The pathologist’s report indicated mesothelioma, the asbestos-related cancer. Usually, this condition is in the lungs but very rarely it is found in the peritoneum, the lining of the abdomen. In the days following my diagnosis I began a radical lifestyle change that would affect every facet of my life. I commenced a rigorous ‘anti-cancer’ diet: plenty of fruit and vegetables (predominantly organic), plenty of whole foods – especially grains, nuts, rice and tempeh as well as becoming totally vegetarian. (Tempeh is a food made by the controlled fermentation of cooked soybeans.) I began a regime of juicing, starting with four or even five carrot and celery juices each day. I tried to obtain organic carrots whenever possible. The chief rationale for drinking juices was that they are full of nutrients and enzymes that help fight diseases and promote the immune function. Juices also provide instant nutrition as they are readily absorbed. In addition, the carrot juice helped to make my system more alkaline and oxygenate the blood. (An acidic system is not conducive to healing.) Further, the beta carotene is a readily absorbed form of Vitamin A that helps fight cancer. I avoided refined and processed food, as well as anything fried. I also avoided cane sugar as there is some evidence that the glucose molecule is well utilized by cancer cells. The goal of my new nutritional regime was to not only gain premium nourishment but to detoxify the body and thereby give my body the best chance to fight this illness. I also started taking nutritional supplements. This was a regime that I modified quite considerably over time. The mainstay of these supplements was a course of experimental intravenous treatment involving Ukrain (see the chapter on Conventional & Complementary Therapies) and high doses of Vitamin C – both intravenous and oral. This lasted almost fifteen months. What factors gradually brought acceptance and a slowly growing confidence in my ability to heal? They were numerous. Perhaps the most important of these was my belief that it was not yet my time to go. I was fiercely determined to do everything I could to remain healthy and stay around for a while. My family needed me and I had things to contribute to my fellow human beings. It was simply not my time. The loving support of my wife and two sons was a huge impetus to stay well. I know that love, like hope, has definite physiological side effects and produces endorphins and other hormones that help in the healing process. I read in books such as Dr. Candace Pert’s Molecules of Emotion that the mind and the body are indivisible. I also read widely, not only about cancer and its treatments but, more importantly, inspirational books such as Dr. Bernie Siegel’s Peace Love & Healing and Love, Medicine & Miracles and Dr. Andrew Weil’s Spontaneous Healing. I learned to meditate and found the benefits of it enormous in helping to balance my life and release me from stress and fear. With the passing of time I learned, as if by way of revelation, that healing is a slow process. At times, despite prayer and meditation, I lost perspective on the situation, especially when I presented for a CT scan, which in those early times was almost every three months. 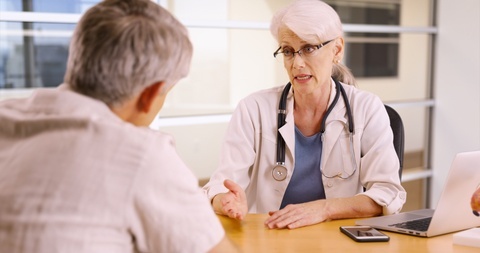 My family doctor, whose treatments included hypnotherapy for stress reduction, chided me for being impatient when I complained one day that I was ‘still not having any cancer treatment’ about four or five months following my diagnosis. He reminded me that the holistic regime I was following was highly therapeutic. Further, the CT scan results and blood test results, although they could have been better, still left me feeling not too bad at all. Despite my distended abdomen from the ascites, or fluid, I had no pain and looked quite well. I kept a journal of prose and poetry and found that strategy to be a useful way of expressing my emotions. Whereas my illness had completely dominated my life in those first twelve months I gradually regained my balance and learned to put the illness into perspective. Looking back on those times I find it quite ironic that my cancer diagnosis was, in a strange way, a blessing. I interpret that event as a sign that God had tapped me on the shoulder and sent me a wake-up call to change the direction of my life. For years I had been meaning to address those things in my life that were causing me grief, especially my inability to control my stress. I had experienced a fairly major mid-life crisis and left secondary school teaching to buy a business. My attempt at buying a bookstore was, to my deep disappointment, unsuccessful. I compromised by buying a health food store. Little was I to know the long-term consequence of that decision was to help save my life. Going into the health food business gave me a deep interest in natural health and nutrition – knowledge that served me well as I began to fight one of the most dangerous forms of cancer. Diagnosed with only a few months to live, I am still alive many years later. The years since my diagnosis have shown that my cancer has been arrested. It no longer grows or spreads. I am not cancer free but that does not disturb me at all. I have made a choice to live each day in the present moment. That is not to say that I haven’t set goals. Rather, it suggests that I have learned to shed the regrets of the past and not to worry about what might happen in the future. Since this watershed in my life I have made a deliberate choice to stay positive. My spirituality is the foundation of virtually everything else. I now know that there are no coincidences in life. Everything has a purpose and a plan, even when that purpose may be hidden from our eyes. I have learned that life is mysterious and, for the most part, despite the pain and grief that is part of our existence, beautiful. Spirituality is, among other things, the ability to find peace and a sense of purpose in life. It is as much a state of being as a state of mind. I have learned that what Dr. Bernie Siegel calls ‘the four faiths’ is crucial to recovering from an illness such as cancer: faith in oneself, one’s doctor, one’s treatment and one’s spiritual faith. In my eighth year after diagnosis I remain well. I have outlived my prognosis by at least seven years and the medical specialist I visited not long ago told me that ‘you will be around for a lot longer yet.’ My survival has been hard work. The underlying assumption with all that I have done, and continue to do, is a strong belief that our bodies are designed with amazing self-healing capacities. Further, there is much that we can do to maintain wellness. I also believe that we are multi-dimensional beings – mind, body and spirit – and we must nourish each dimension if we are to heal. The aim of this book is to help you learn how to optimize your self-healing capacities and confound the statistics. It describes what worked for me in overcoming my “terminal” diagnosis and presents a road map to recovery. It is certainly not intended to be a detailed reference book on every type of cancer treatment available (however, there are useful references in the Bibliography) and it in no way purports to provide medical information. Rather, it is written in the framework of addressing the person, not just the illness. It also provides information that in all likelihood your doctor does not have time to give you. Foremost, this book is designed to help you understand that because cancer is life threatening, you need to take it very seriously and ‘do whatever it takes’ in your fight against it. It also aims to give you the precious commodities of comfort and hope. Chapter One, A Diagnosis, Not a Death Sentence discusses my diagnosis, what Ilearned about mesothelioma, how to react to a dire prognosis, the importance of the doctor-patient relationship for healing, and introduces the treatment regime I followed. Chapter Two, The Emotional and Spiritual Principles of Healing discusses the impact of stress on cancer, the significance of the “faith factor,” hope and love, positive thinking, forgiveness, and thankfulness. Chapter Three, The Role of the Mind in Healing focuses on the value of adopting a positive mind-set, the mind-body connection, the mystery of the placebo, and the impact of emotions on the immune system. Chapter Four,Conventional and Complimentary Therapies , discusses the importance of making well-informed treatment decisions, and provides an overview of the complimentary therapies that I used including diet, supplements, Chinese medicine, herbs, Ukrain, and Iscador. Chapter Five, Nutrition and Diet discusses the value of a holistic approach to healing, detoxification, a healing diet, and juicing. 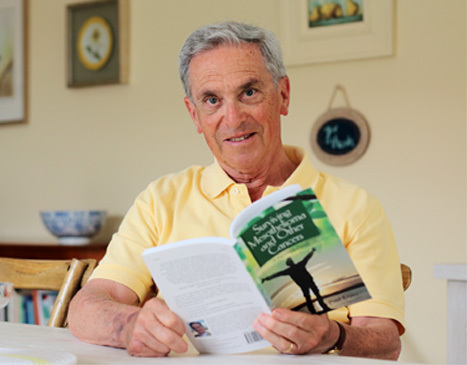 Chapter Six, Living With Cancer focuses on cancer as a turning point in one’s life, the importance of healing relationships, meditation, pain control, journal writing, and laughter and music. Chapter Seven,Healing Your Lifestyle discusses the goals of achieving total wellness and living in the present. The last chapter , Reasons for Hope explains that others, like me, have outlived their mesothelioma prognosis with good quality of life and that you have every right to be hopeful that you too can make a remarkable recovery.